THE ASSOCIATION FOR MIDDLE EAST WOMEN’S STUDIES is an organization of scholars and individuals with an interest in women and gender studies in the context of the Middle East/ North Africa and beyond, including transnational and diasporic communities in Europe as well as North and South America. AMEWS is affiliated with the Middle East Studies Association of North America, Inc. and works with academic networks around the world. Membership in AMEWS is open to anyone with an interest in Middle East/Muslim women and gender studies. AMEWS was founded in 1985 by scholars interested in promoting quality research on women in the Middle East. AMEWS organizes conference panels and workshops and has co-sponsored symposia and an e-conference. Through its Committee on Human Rights, AMEWS focuses attention on issues that impact women and scholars of Middle East and Islamic studies. Its triennial publication, The Journal of Middle East Women’s Studies (JMEWS), published by Indiana University Press, advances the fields of women’s and gender studies through contributions across disciplines in the social sciences, humanities and other fields. 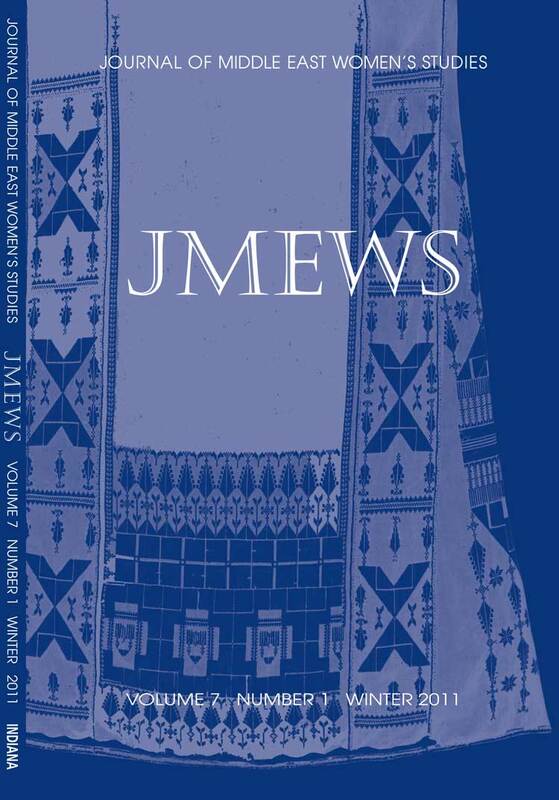 Located at the cutting edge of the new scholarship in Middle East women’s and gender studies, JMEWS encourages research that is theoretically, epistemologically, and methodologically innovative. It publishes research informed by transnational feminist studies, cultural studies, historical studies, new forms of ethnography, and the emergent intersections of science and philosophy. JMEWS provides a forum for discussion and debate for authors from the global north and south, through scholarly articles, book and film reviews, conferences, symposia, and talks by Distinguished Lecturers. Marcia C. Inhorn, Founding Editor, JMEWS (Journal of Middle East Women’s Studies), Indiana University Press and Association of Middle East Women’s Studies, Middle East Studies Association, 2004-2006; Editorial Board, 2006-present; Editor, 2010-14. 2019 © Marcia C. Inhorn.